Over at the Strange Music Webstore, they have announced what could be the biggest sale they’ve ever had! It’s a 60% Off Labor Day Sale and it’s almost completely site-wide! It only excludes items such as diamond/gold jewelry, new album releases, large canvas prints, and a few others. But that means t-shirts for $10.00, basketball jerseys for $32.00, beanies for $3.00, and a bunch of other flavor for super cheap! 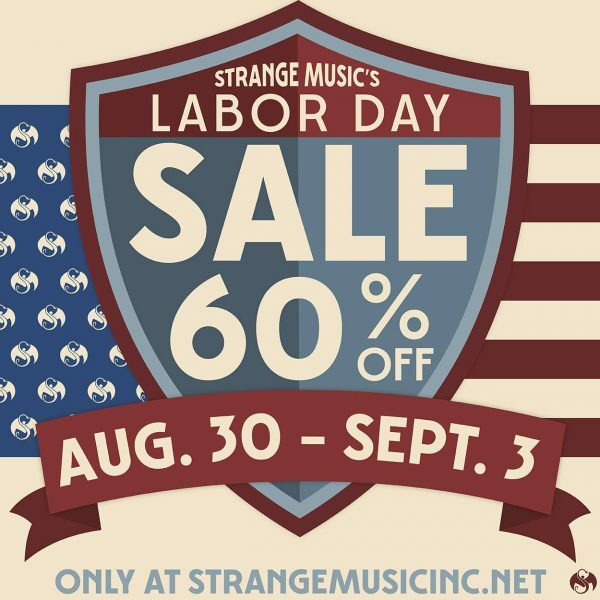 I’d make sure to head over to StrangeMusicInc.net in the next few days while you can get merch on the cheap! The sale ends on September 3rd!